The Breast Screening Programme screens around 2 million women every year and we carry out rigorous evaluations of the mammography equipment used by the programme. The evaluation is a two-stage process – technical and practical. The technical evaluation makes sure equipment gives consistently high quality images of the breast. 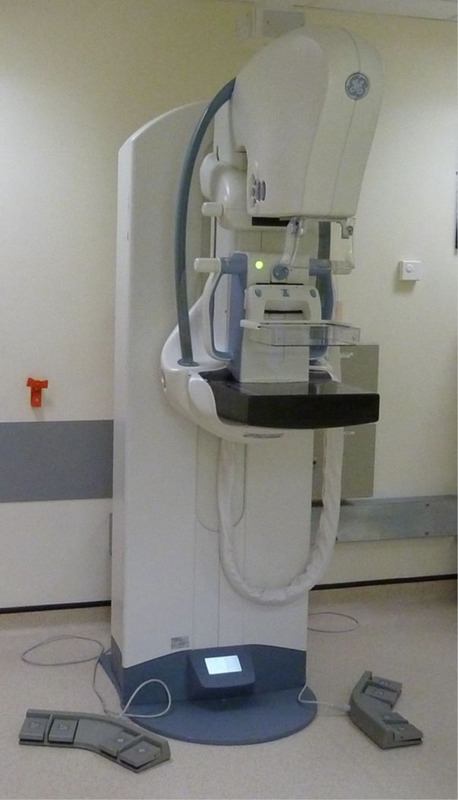 As the screening test involves x-rays, it is also vital that the equipment achieves this with the minimum dose of radiation to screened women, the majority of whom are well. The National Co-ordinating Centre for the Physics of Mammography (NCCPM) carries out the technical evaluations on our behalf. This ensures we are open and transparent to all manufacturers and do not favour some more than others. If the NCCPM decides the equipment is technically adequate then it goes through to the second stage – a practical evaluation. This stage is essential to ensure any mammography equipment used in breast screening and follow-up assessment clinics is effective from a clinical perspective. Breast screening is most effective when small or very early stage cancers are detected before cancer would have been diagnosed due to a lump being found. Radiologists therefore assess the mammographic images produced by the equipment to ensure the most subtle, early signs of cancer are visible. Meanwhile, radiographers evaluate the equipment from the perspective of screening staff, considering its ergonomic design and the relative comfort of the women being screened. This two-stage evaluation ensures we adopt new technology safely and protects against the risk of introducing sub-standard systems which may result in cancers being missed at screening. The latest equipment to successfully complete this process is the GE Healthcare SenoClaire digital breast tomosynthesis system. Both this system and the previously approved Hologic Affirm system have been approved for use in assessment clinics, for women who need further tests following the outcome of their initial mammogram. Both systems use new digital tomography technology, which creates a 3-D digital image rather than the standard 2-D digital image currently used in routine breast screening equipment.